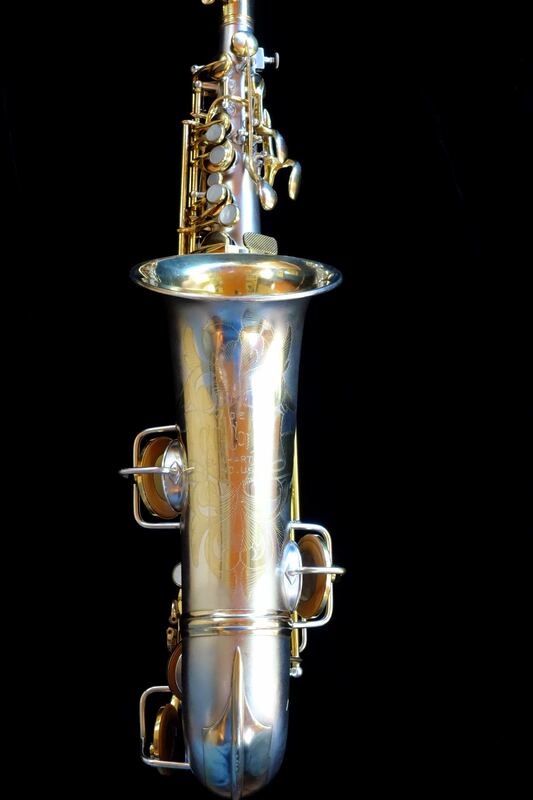 These instruments were bought new together, and the granddaughter of the original owner contacted me a while back to see about valuation and perhaps a sale. I happened to know someone looking for horns like this, so long story short I put them together and a deal was done, whereupon both horns sat at my place awaiting restoration. 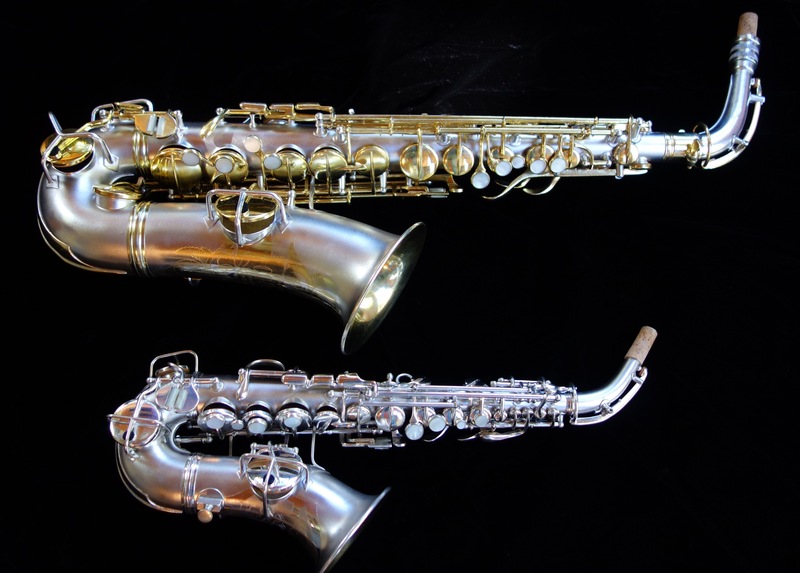 I have just completed said restorations, and have been rewarded with two truly excellent saxophones. Both of them are physically very clean (though it took some doing) and survive in their original cases. The alto keywork was quite worn, and since New Wonder II keywork is already a challenge to get mechanically perfect, it was a rather large job. 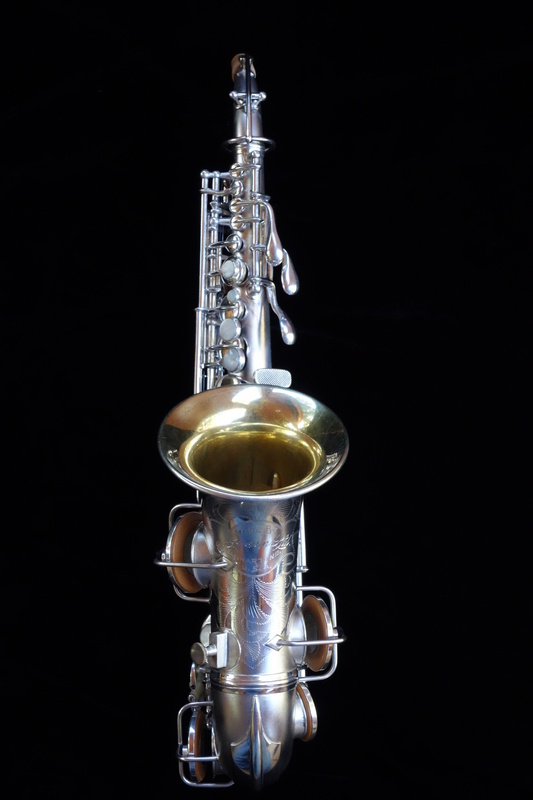 The soprano was less worn (though it seemed to have gathered a few dents in its lifetime, now removed), and in fact sported its original lead-foil backed pads! 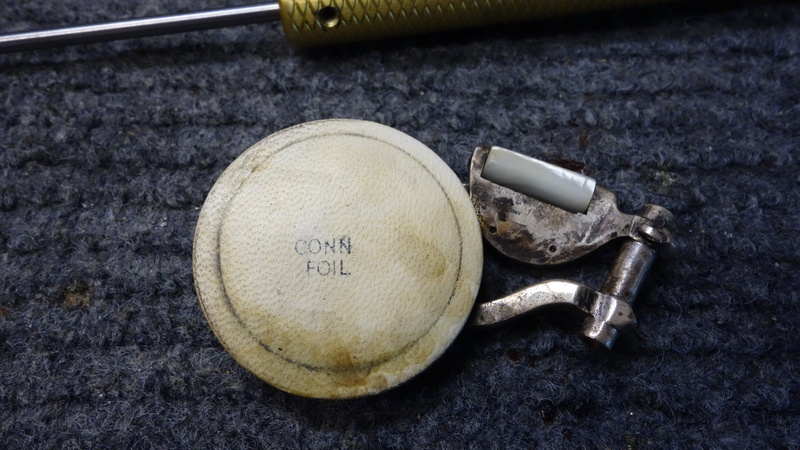 I have included a photo of one of these below for reference- though beware, most don’t have the “Conn Foil” stamp on them. You have to be careful with disassembly and disposal of those old white Conn pads with the center stitch- that powder falling out from behind the dry-rotted leather is actually lead dust. So the overhauls were lots of fun, and quite rewarding to see these horns brought back to life. And now they play like the dickens. 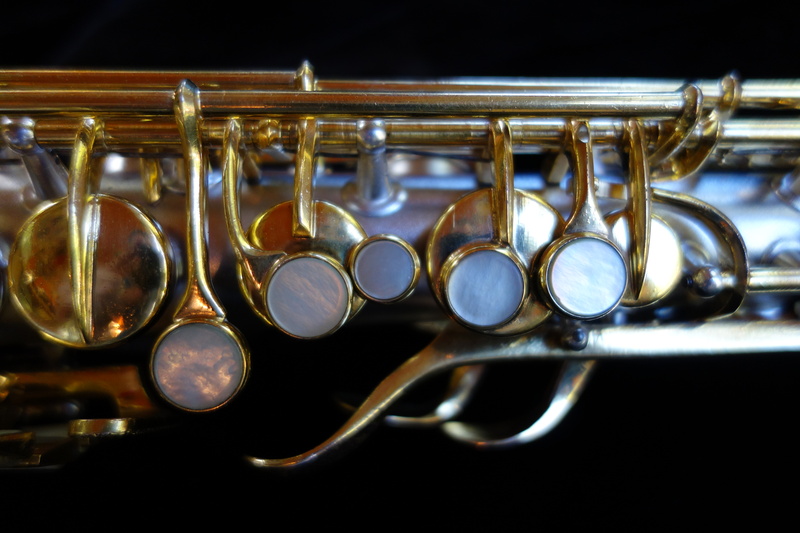 The soprano in particular is probably the best soprano I have ever played, and I am not a man given to hyperbole. The tone on both is- as you might expect from a New Wonder Series II- warm, powerful, and rich. 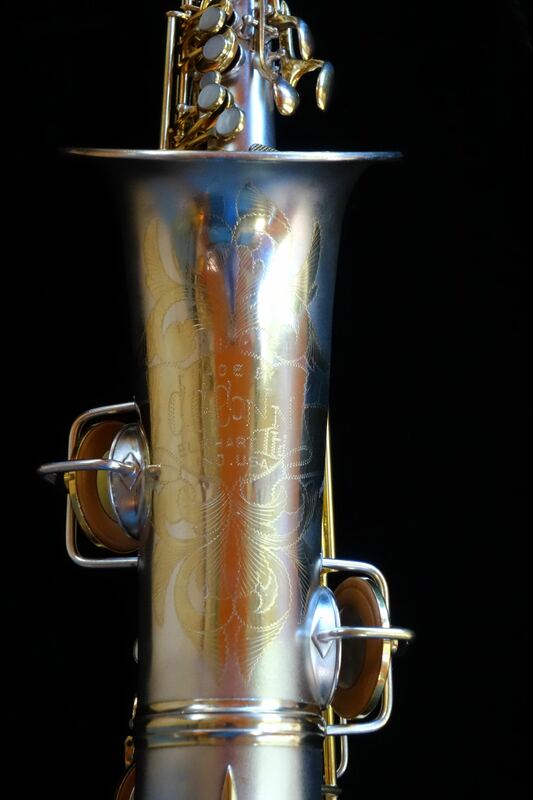 Conns of this era like very open key heights, and while it can be a challenge to make them feel snappy with protracted travel of the springs, when you get it right and combine it with the rolled toneholes, it is a feeling not quite like any other horn. 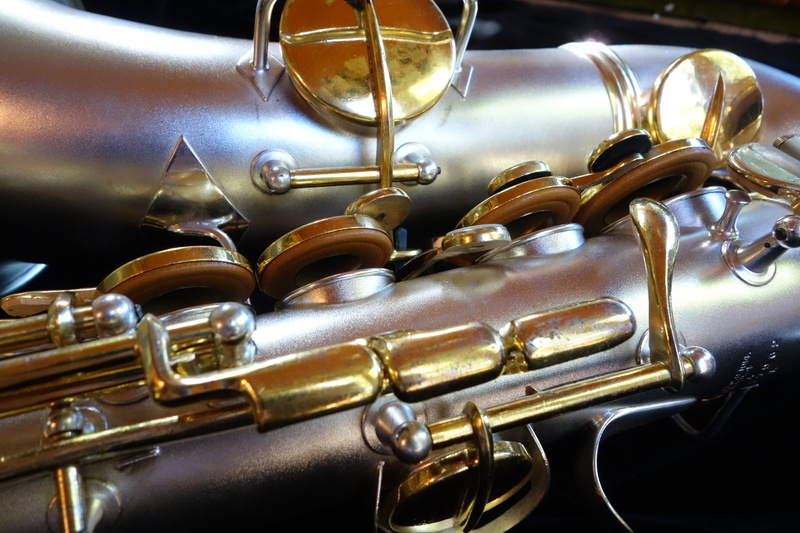 The alto is a premium finish of the time, gold plated keys and engraving with a silver plated body. 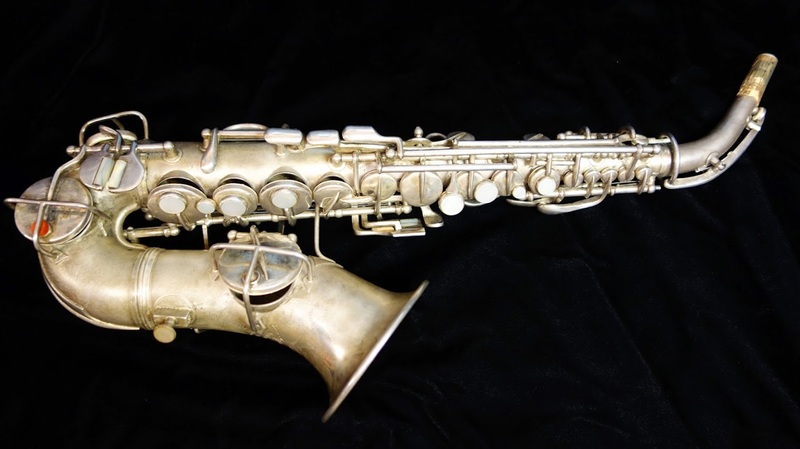 Typically the gold on horns with this finish seem to be very worn out or even worse evenly thinned out, leaving the gold color unsaturated and weak- perhaps due to repairers in the past throwing the keys in with the body in to a silver cleaning solution, which will strip gold down in short order. These keys however have enough of their gold left to show what these horns originally looked like, and the result is beautiful. I’m having an awful lot of fun playtesting these, and will most definitely enjoy the period of time between now and when the payment for my services arrives. 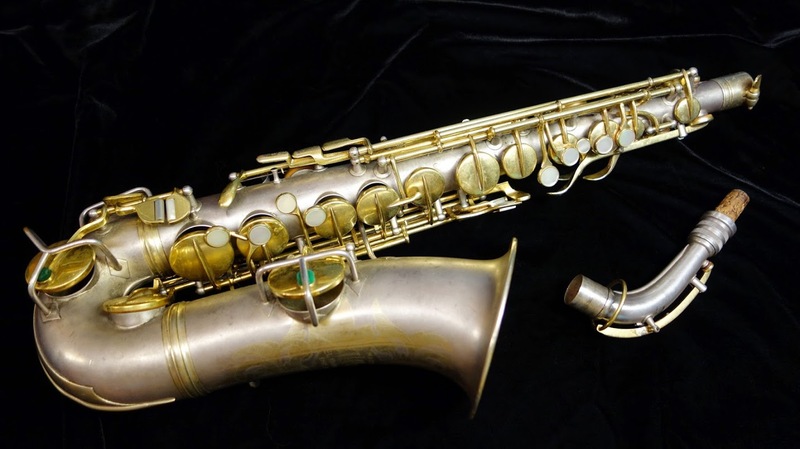 The alto is serial 147xxx (one of the very first New Wonder Series IIs) putting its date of manufacture at early 1925, the soprano is 167xxx putting its date of manufacture at 1926. And here is a “before” photo of each horn.